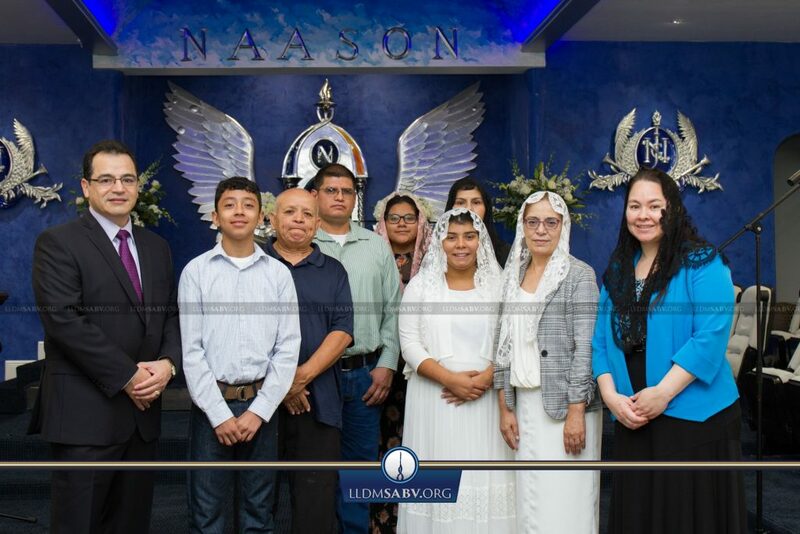 SAN ANTONIO – Brother Israel Diaz asks four brothers and four sisters, which have asked for baptism, a series of questions after our Sunday school sermon. The questions are designed to assess their pledge of faith. The brethren are asked to raise their right hand to show acceptance. After their acceptance, the brethren are baptized in water in the name of the Lord Jesus Christ by Minister D. E. Louis Cruz.